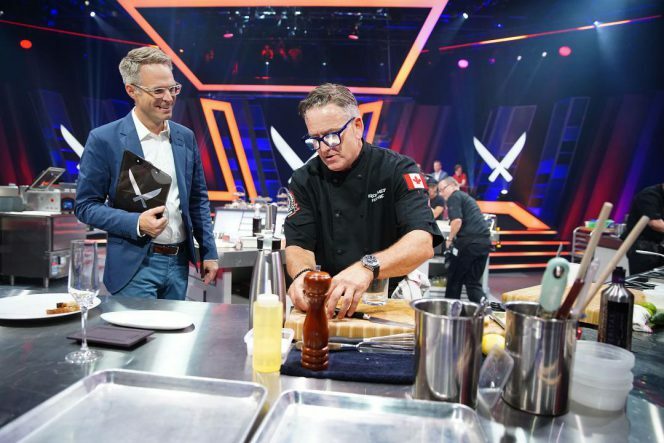 In the frenzy of Iron Chef Canada’s Kitchen Stadium, Rob Feenie remained calm and focused on the five dishes that he and his team had to prepare with the just revealed “secret ingredient.” They had a mere 60 minutes to do so. 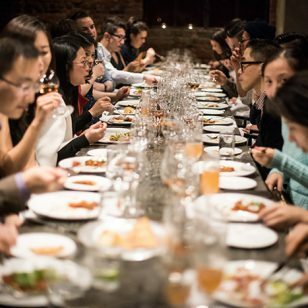 The inaugural season of Iron Chef Canada sees ten chefs from across the country compete against Canadian Iron Chefs, such as Vancouver’s Feenie, who oversees the food program and test kitchen of Cactus Club Cafe (various locations). 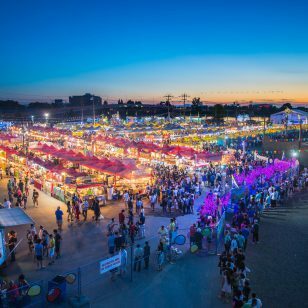 Feenie has plans to feature some of the Iron Chef items on Cactus Club Cafe menus in the future so that diners can taste the winning creations. Feenie initially earned his Iron Chef credentials in 2005 when he went against Iron Chef Masaharu Morimoto and won, earning him the title of being the first Canadian to be triumphant on Iron Chef America. Supported by sous chefs Henry Wong and Wayne Harris, he recently went head-to-head with two worthy competitors: the first (October 24), Vancouver’s Ned Bell, the executive chef at Ocean Wise and executive culinary director at the Vancouver Club; the second (November 28), John Horne, District Executive Chef at Toronto’s Oliver & Bonacini Hospitality. With Bell, Feenie had to incorporate stone fruit into the dishes, while with Horne, the secret ingredient was bivalves. Dishes last night included scallop carpaccio with Northern Divine caviar, as well as baked razor clams with parsley and garlic butter, topped with sea salt and vinegar chips (the culinary curveball). In both competitions, Feenie emerged as the winner. (Another local chef Alex Chen from Boulevard Kitchen & Oyster Bar bested Canadian Iron Chef Hugh Acheson). 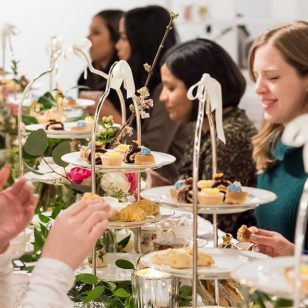 Feenie has been with Cactus Club Cafe since 2008, responsible primarily, along with founder and CEO, Richard Jaffray, for menu and product development. Signature Feenie items that appear on Cactus menus include the BBQ duck clubhouse, the crispy chicken sandwich, and the butternut squash and mascarpone ravioli with prawns. 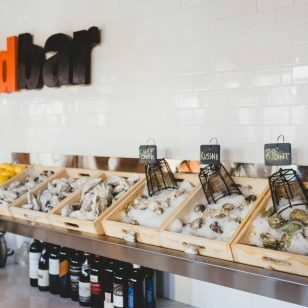 As a large organization, with a huge roster of cooks, sourcing fresh, sustainable ingredients and maintaining consistency company-wide is definitely a challenge. 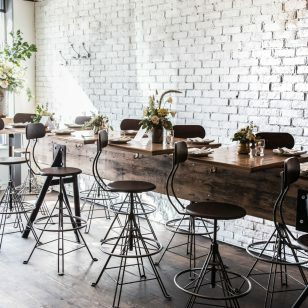 As a result, Cactus Club Cafe has a rigorous test kitchen that will often spend weeks, if not months, perfecting a dish to ensure high quality before it is launched into the fast-paced kitchens of its various locations. 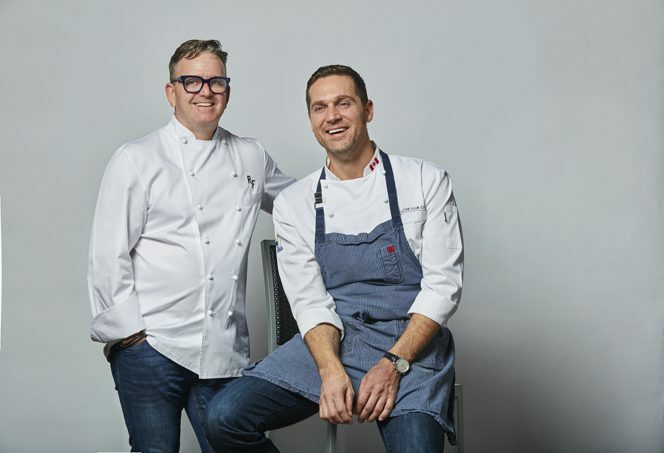 Rob Feenie and chef Cory Vitiello recently offered a peek into what the test kitchen has been up to, as well as what Feenie has been creating on the Iron Chef Canada show. Versions of these dishes are being considered for Cactus Club Cafe menus, some perhaps appearing early next year. 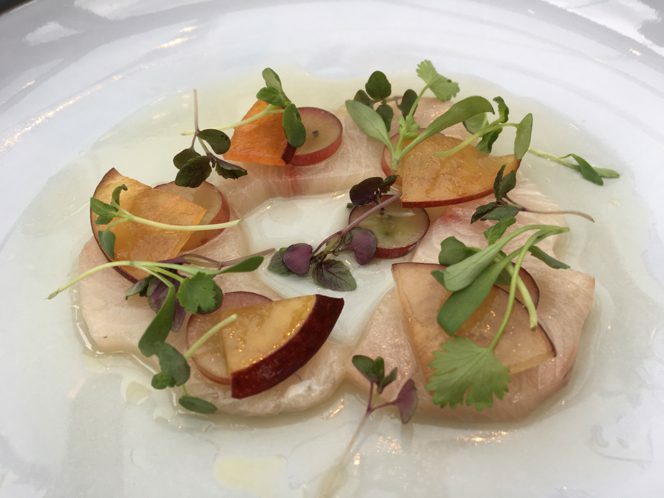 Hamachi sashimi with compressed plums, grapes, micro cilantro, and smoked olive oil was featured in his first first Iron Chef Canada battle. It’s a lovely dish that highlights the quality of the fish and the subtle flavours on the plate. 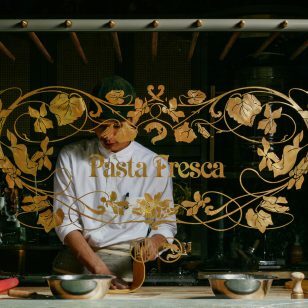 Feenie’s cooking never hides behind gimmick but offers confidence in the ingredients and his elegant orchestration of them. 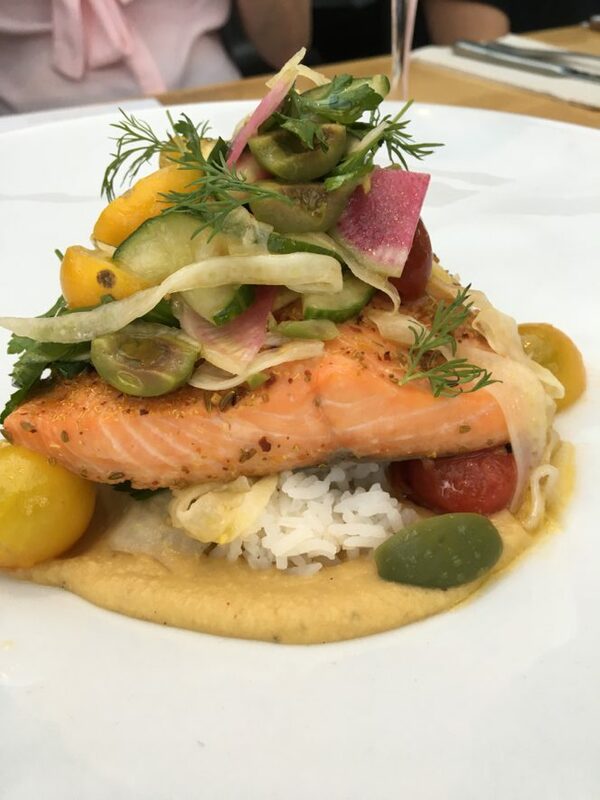 Lois Lake steelhead with cucumber, baby gem tomatoes, green olives, shaved fennel, basil, dill, and hummus really evidences the restaurant chain’s commitment to local and sustainable ingredients. There’s great vibrant freshness to this dish. 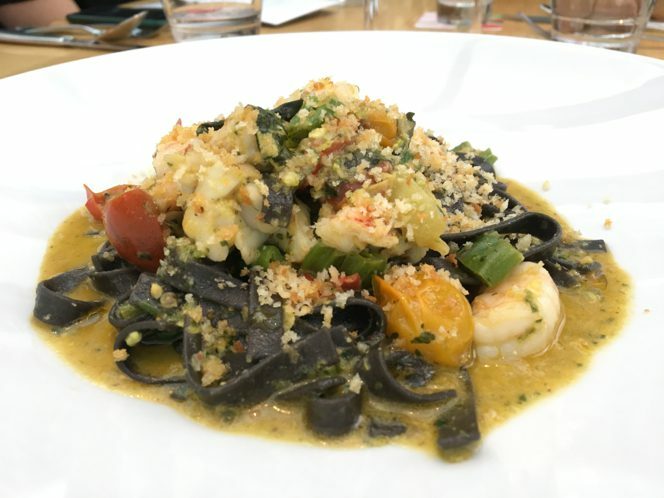 Lobster and prawn tagliatelle Nero (squid ink) is a decadent dish featuring pistachio green chili pesto. 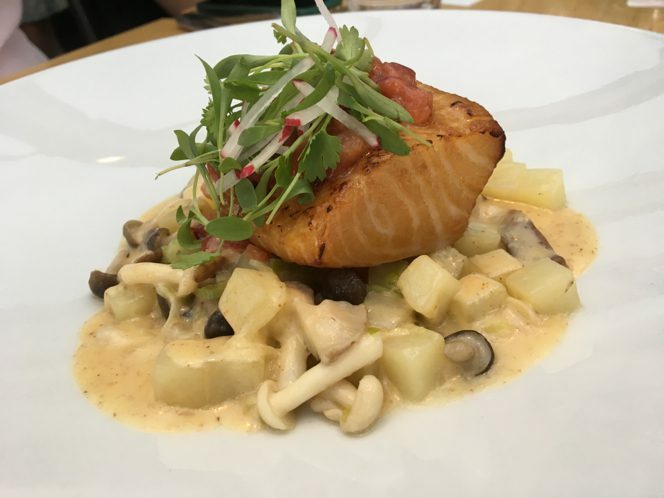 Another creation incorporating stone fruit, sake maple cured sablefish with umeboshi plum chutney, shimeji mushrooms, Yukon gold potatoes, and miso brown butter sauce was a quintessential Rob Feenie dish in its use of ingredients and flavours combos (loved the miso brown butter sauce). This items may replace the current Cactus sablefish offering that features shiitake mushrooms, asparagus, Peking duck broth, and fingerling potatoes. 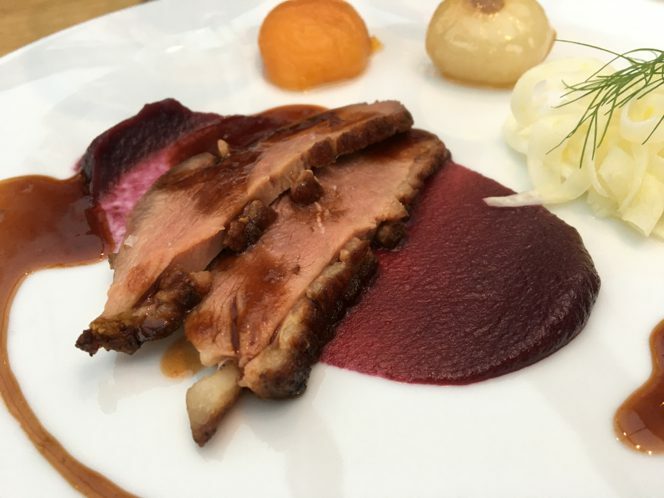 A roasted magret duck breast fully embraced the stone-fruit theme with lavender apricots, red cabbage plum purée, cipollini onions, and citrus duck jus. Duck works especially well when paired with stone fruit ingredients. 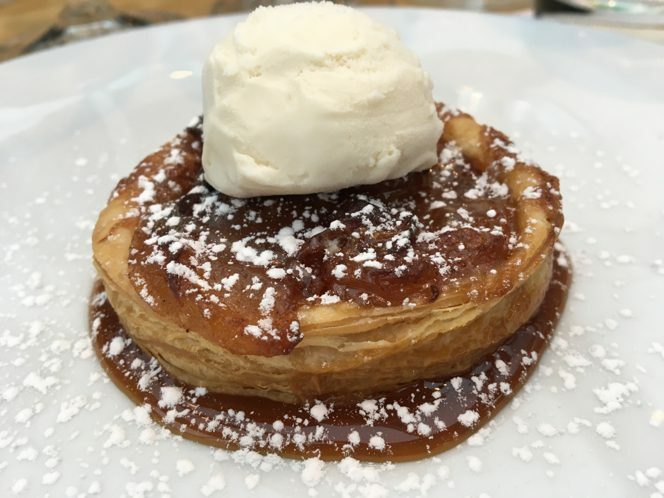 A old favourite that is making a comeback after a menu hiatus is the apple galette with flaky puff pastry, caramelized apples, Tahitian vanilla ice ceram, and caramel sauce. Cactus has been shifting to include more plant-based options, such as tofu lettuce wraps and the tofu modern bowl. 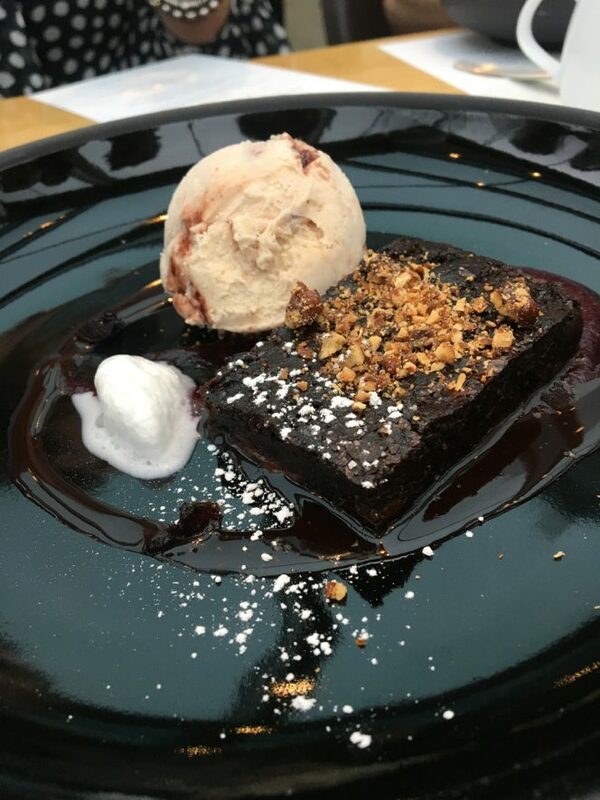 Dessert-wise, a vegan brownie with cherries and nut-based ice cream is in the works.